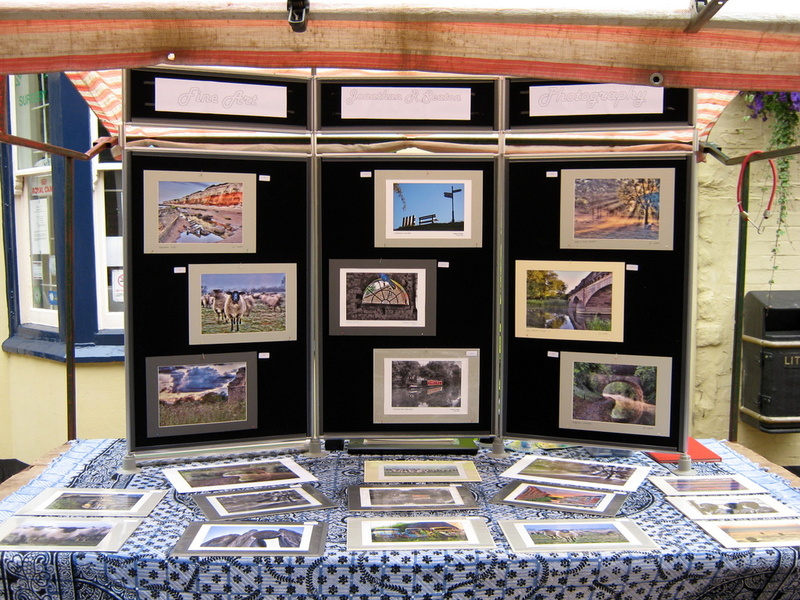 I’m buzzing with the anticipation of pitching my fine contemporary photograph stall in Timor Court, Stony Stratford this Saturday, 13th August. Last week proved to be a steep learning curve and there are many refinements that I still need to apply. However, given that I’m only doing it for 3 consecutive weeks, there’s a limit as to what makes sense to address. Since last week I have got my own website up (http://photography.jrseaton.co.uk) but it is still not populated with any of my photographs, and I’m not entirely clear what strategy I’m going to adopt for populating it. At the very least it will have all the stock currently on offer on the stall. The next essential is to create a business card. I want to use one of my ‘iconic’ photos, but it’s interesting that some of the prints I really like haven’t sold (yet). I think I will just follow the courage of my convictions. Mounting the pictures has been a challenge. The ones on vertical display I don’t want to wrap in cellophane because it destroys their impact. I am thinking of velcro dots and just need a scheme that enables me to remove them without spoiling the product. Last week I used pins, but as the day wore on some prints fell (damaging one corner) and after selling a print I need to be able to quickly put up a replacement. I’m also going to try to create some mounts that enable the prints on the table to be angled for better viewing. There will be a folder of work for people to browse and possibly order from. Every print for sale has a unique identifier, the other variable is the colour of the matt. I will probably add some information notices to the stall so that people understand what I am achieving using HDRI techniques. This is an ongoing project that doesn’t have an end in sight. Maybe I need to define when the project will have ended and when selling photographs just becomes something I do.